components are joined and fastened together. 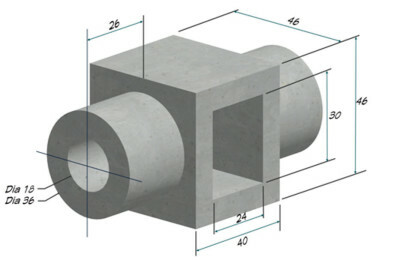 You will need to show this by making detailed drawings. Chief Architect has hundreds of detailed CAD drawings in its library, which you can use to save time. However, you will find that each building is different and even if you use one of Chief Architect’s CAD drawings you will often need to make modifications to fit your situation. There are going to be many different situations in your plan development where knowledge of Chief Architect’s CAD tools and capabilites will speed up your work. The more proficient you are, the more efficient you will become. This tutorial will help you in achieving that goal. This tutorial is the entire first section of the upcoming book, “Become a Chief Architect Expert (X-9 Edition). 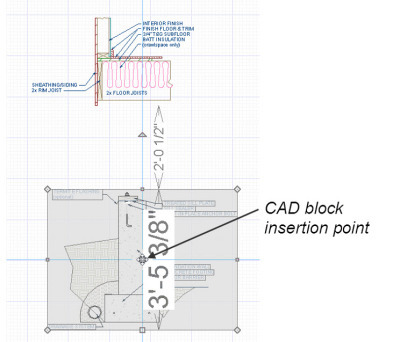 Knowing how to use all of the CAD tools that Chief Architect has to offer is important because you will need them to draft all of the detail drawings needed in a set of residental building plans. You were introduced to CAD in Chief Architect in the book, “Residential Design Using Chief Architect”© or in one of the Learning Chief Architect Step by Step books. I’m assuming that you are versed in the basic tools described in one of those books. Being able to make your own symbols in Chief Architect can be very useful. Not many users take the time to learn how to do this because they believe it to be a difficult task. However, as this tip tutorial will demonstrate, making a symbol in Chief Architect is easy to do. In this tutorial, we will be creating a unique door symbol.